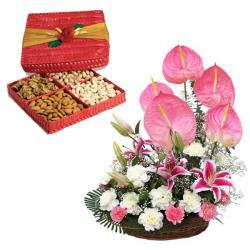 500 Gms Dryfruit Box along with 20 Pink Colour Flowers Bouquet. 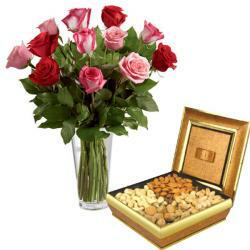 Ideal Hamper of Giftacrossindia.com has Pink Flowers with supreme quality Dryfruit Nuts. 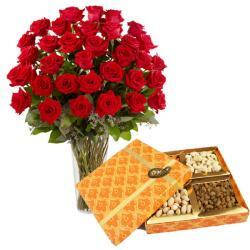 You will be delighted with this amazing gift combo without a doubt! 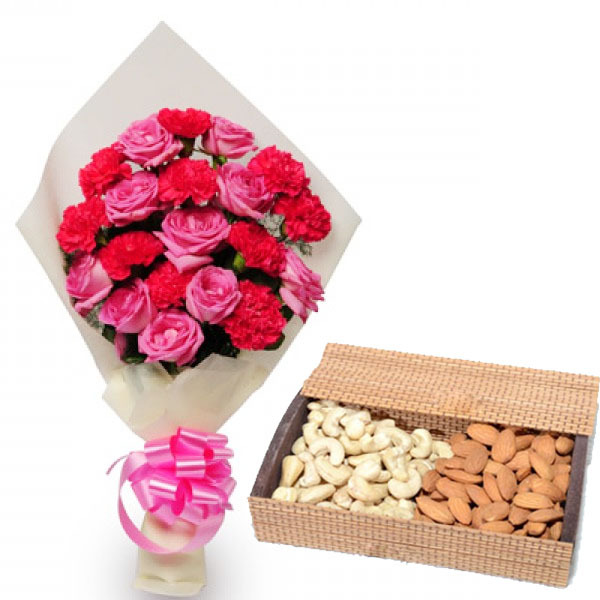 Your festive shopping list will remain incomplete without this Ideal combo containing 20 Pink Flowers in a bunch with 500 Gms Dryfruit Box. 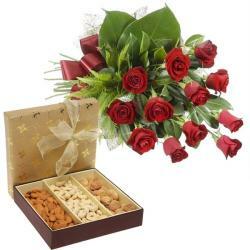 These beautiful flowers have been fabulously packed and Box of mixed dryfruits which should be a major attraction for foodies. This is the Perfect gifting solution for special occasions like Anniversaries, Weddings, Congratulations and even for the festivals Like Diwali and Karwachauth.